Barbera in Piemonte has a very long history, many suspect dating back to the 7th century. The first documented mention is from the Middle Ages, by the 18th century it had a dominate position in Monferrato, Asti and Alessandria. Today, Barbera d’Asti accounts for the largest amount of Piemonte red wines produced. The hills on which Barbera is grown date back 2 million years ago, to the Tertian age. The sea covered the area, as it departed it began the erosive process that currently shapes Piemonte [there are few stones and pebbles, resulting in erosion on the steeper hillsides]. There are 2 types of soil on these hills: white and Asti sands. 1. White Soils: More ancient, predominantly found in the areas of Canelli, Alessandria, Casale and the southern Asti region. Light grey in colour, they are a calcareous marl rich in calcium carbonate, silt and clay, with the occasional fossil shell being found. Vines grown in these soils result in full bodied, deeply coloured wines with good ageing potential. 2. Asti Sands: Marine sedimentary deposits dating to the Pliocene period, they are found in the middle of the Asti Monferrato zone, on steep slopes along both sides of the Tanaro River. Barbara from these soils have less acidity, therefore they don’t have ageing potential and are best for immediate enjoyment. 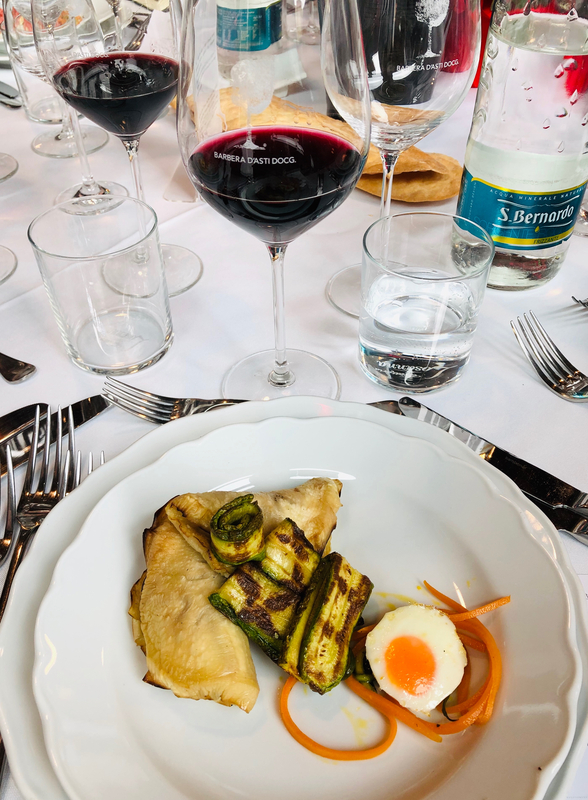 Traditionally, Barbera wines were light and for everyday consumption, glugged down with lunch and dinner. In the 1980’s, pioneering producers knew the grape had more potential than what was being realized and set about creating a renaissance for Barbera. In addition to choosing better sites [south side of the hills], they also lowered yields and used malolactic fermentation to decrease some of the acidity. They also began ageing in wood, a significant development for a grape so very low in tannins. The wood ageing brings structure, complexity and the ability to age. 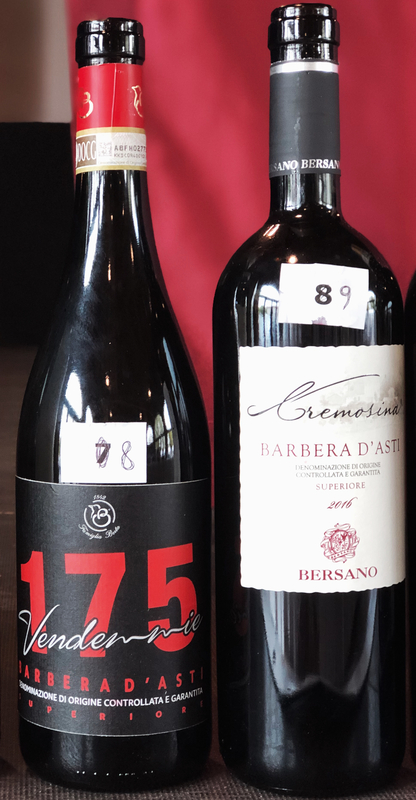 Bestowed with the number one spot on Wine Enthusiast Magazine ‘The Enthusiast Best Wines of 2018’, Barbera is experiencing a revolution. Expect a more diverse selection on the wine shop shelves as this trend gains momentum. So, what is it exactly that has Barbera gaining all of this recognition? The stunning hills where Barbera is grown are a UNESCO site. In recognition of this historic relationship between man and vine, the official name is “Vineyard Landscape of Piedmont: Langhe-Roero and Monferrato”. The majority of vineyards are sustainably farmed, with the majority of producers heading towards organic production. This is an area where the winemakers live and work on their property, with the intention of preserving it for future generations. It’s important to note that the area is an agricultural region, known for its hazelnuts and wheat production, which are adopting organic farming methods, as well. The most widely grown grape in Piemonte [4600 hectares of vines], Barbera is naturally high in acidity and low in tannins. Extremely food friendly, it is a fantastic companion with a wide variety of dishes. It ranges in style from fresh and easy drinking to complex, age worthy and powerful. It expresses fresh, red fruits [cherry, raspberry, black cherry] and in warmer vintages hits plum notes. Baking spice, licorice and warm, earthy notes round out the palate. If wood aged, flavours of tobacco, chocolate, leather, earthy underbrush, forest floor and even more spice will be displayed. With its array of flavours, acidic backbone and versatility, Barbara d’Asti is generally regarded as the ultimate expression of the Barbara grape. 1. A minimum of 90% Barbera, up to 10% of any other red grape allowed to be grown in Piemonte. In practice, the majority of winemakers use 100% Barbera. Minimum alcohol is 12%. 2. 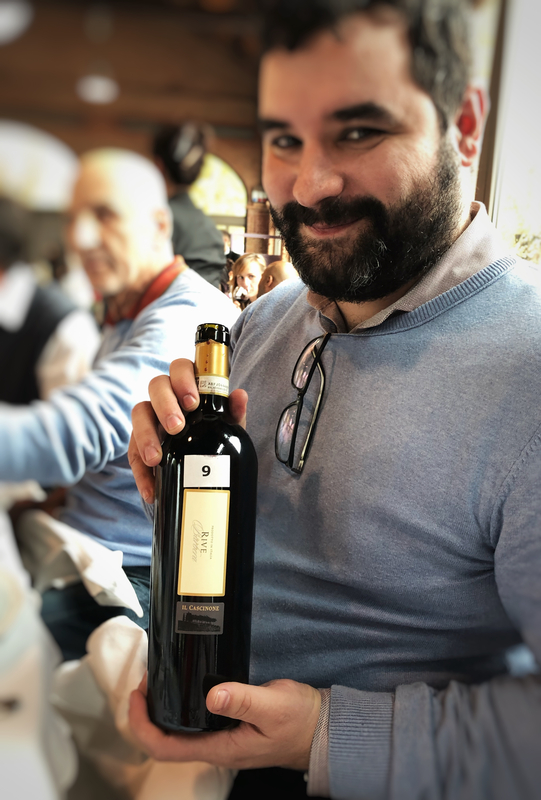 The Superiore must be aged for a minimum of 12 months, with at least 6 months of that time spent in wood, with a minimum alcohol content of 12.5%. I had the fantastic opportunity to attend the ‘Barbera Revolution’ Master Class and unveiling of the 2016 vintage of Barbera d’Asti. 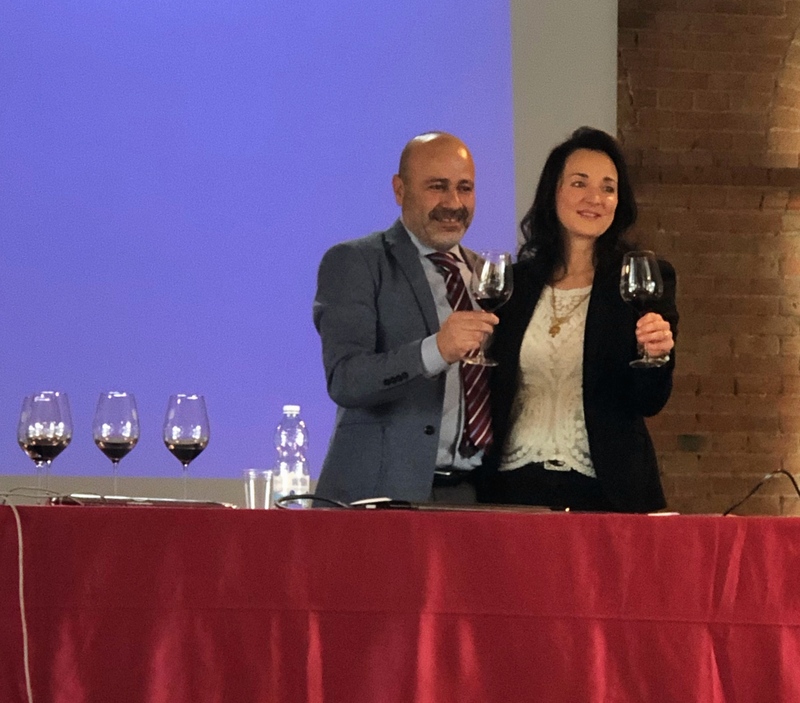 The class was curated by author and Italian Wine Editor for Wine Enthusiast Magazine, Kerin O’Keefe and President of the Consorzio Tutela Barbera d’Asti e Vini del Monferrato, Filippo Mobrici. 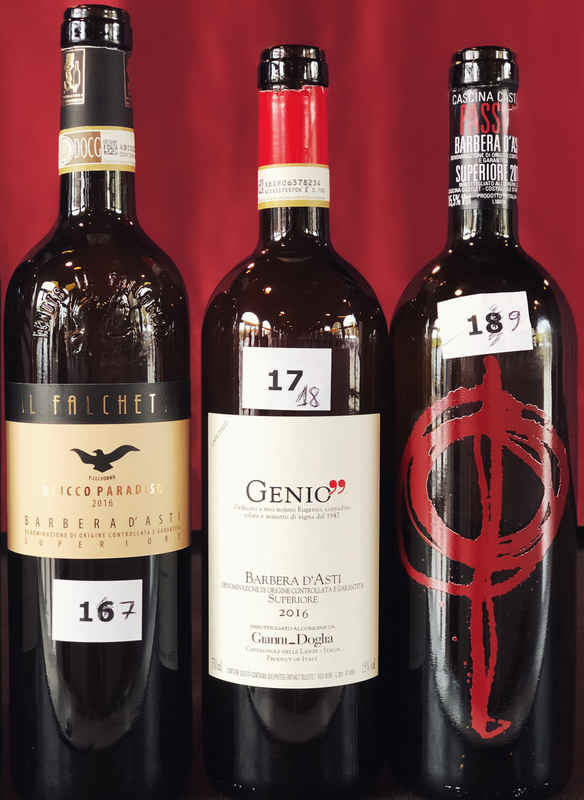 Held at Foro Boario Pio Corsi, in Nizza, Monferrato, the heart of the Asti region, 19 wines from the 2016 vintage representing Barbera d’Asti DOC, DOCG and Superiore were presented. 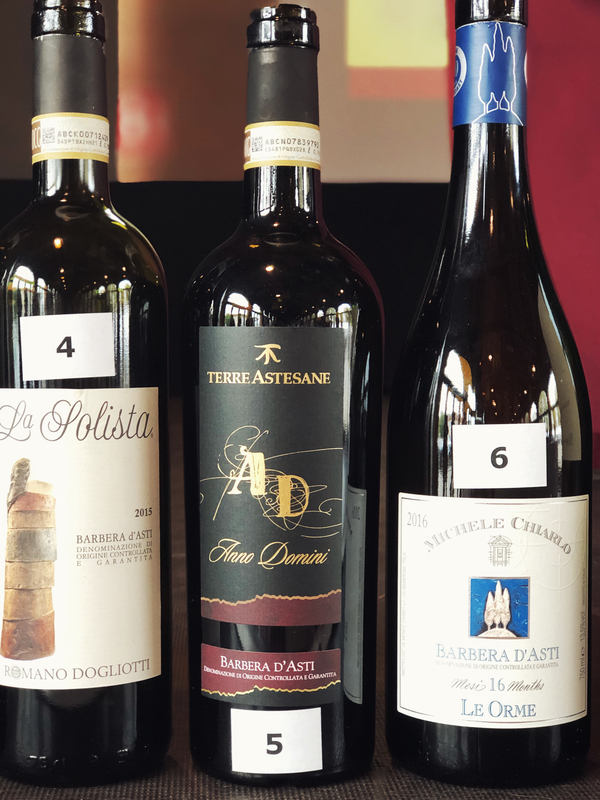 2016 is being viewed as a 5-star vintage for Barbera d’Asti. February had a lot of rain, which compensated for the previous dry spell. Spring brought low temperatures that lasted thru June. The last half of august thru September was warm with little rain, the exact conditions needed for Barbera to ripen perfectly. It is important to observe and recognize the effects of warmer temperatures that many wine growing regions throughout Italy now experience. Barbera loves heat and is naturally predisposed to making wine with high alcohol levels; 14-16% is the average. The naturally high acidity keeps it in check however, providing balance between the fruit and alcohol. With the pairing of warmer temperature and winemaker preference, the majority of Barbera wines have a generous alcohol level. 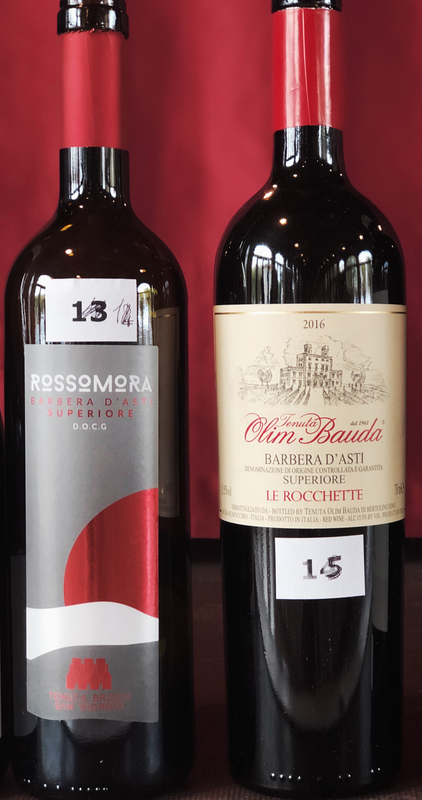 The following are 100% Barbera, they are wines that I found to be stellar expressions of Barbera and the hills of Asti. Well-structured and pure, packed with juicy berry fruit supported by fresh acidity and good tannins. A trace of mocha highlights the plush finish. Layers of silky red fruit with a sprinkle of nutmeg are wrapped in fine tannins and bright acidity. Wonderfully easy drinking. Vinification: cold maceration for 24-36 hours, fermented with the skins for 10-12 days. Superbly integrated fruit/spice/earth notes are dusted with baking spice and wrapped in balancing acidity and tannins. Woodsy, forest floor rounds out the finish. All of the cherries [red, black and sour] crushed black peppercorn and earth are accented by fresh acidity and silky tannins. Well structured, with an engaging earthy angle. Silky layers of dark fruit and peppery spice are supported by polished tannins and fresh acidity. Straightforward and well balanced. A tannic backbone supports wild cherry, blackberry, plum, sandalwood, white pepper, earth and woodsy oak. A fantastic fusion of fruit/spice/earth. Sumptuous and plush, layers of dark fruit, peppery spice, licorice and earth drape over a framework of fresh acidity and silky tannins. Chocolate and fruit linger between each velvety sip. Juicy plum, blackberry and black cherry are accented by peppery spice and a dash of creamy mocha. Bright acidity and firm tannins harmonize and further the big, muscular structure. Barrique aging is well balanced, giving a plush frame to concentrated black cherry, plum, blackberry and crushed white peppercorn. Balancing acidity and firm tannins ease into vanilla, cigar box spice and dark fruit on the lengthy finish. Wildflowers and warm summer hay accent concentrated dark fruit, soft baking spice and licorice. Fresh acidity pairs with Herculean tannins. Baked berries, chocolate and pepper span the lengthy finish. A bold sip with approachable periphery. Tangy fruit is the star here, with cherry, red currant, cranberry and pomegranate supported by robust tannins. Anise, mint, peppery spice and espresso comprise the lengthy finish. Very aromatic, with red fruit, flowers, earth and spice. Intense flavours of wild berry pie and a dash of chipotle spice are given a sense of agility by fresh acidity and silky tannins. Well structured, well balanced, and accessible, even with all of its power. A vein of minerality winds thru concentrated, juicy dark fruit, wildflowers, earth, spice and cedar. A savoury edge carries thru to the velvety finish. Acidity balances the intense flavours, silky tannins are the backbone. Complex, compelling and focused. Media event organized by Consorzio Asti DOCG and Consorzio Barbera d’Asti e vini del Monferrato.